DESCRIPTION: A classic Reusch mitten with waterproof membrane and regular cuff. 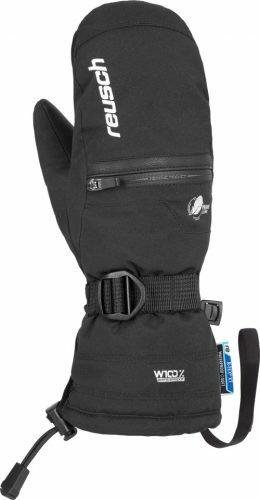 TEC FILL TM: Comfortably warm on cold days Being more compact this solid standard insulation offers an adequate amount of warmth, so that there is nothing getting in the way of a long exciting day on the piste. The GORE-TEX® membrane excels through a tremendous concentration of pores. 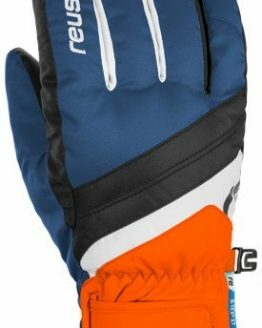 Integrated between shell material and lining, it makes any glove durably waterproof, windproof and extremely breathable. Hands stay warm and are protected against all weather conditions in an ideal manner. WARM (FORMER THERMO3TM): Comfortably warm gloves for regular winter temperatures. 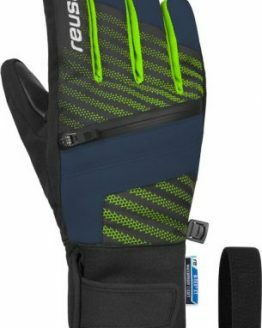 Reusch gloves featuring compact or low-volume insulation.